Keep up-to-date with all the latest video game releases! Kidzworld has all the latest games to keep watch for. This week, we preview Split Second, Shrek Forever After, and Blue Dragon! 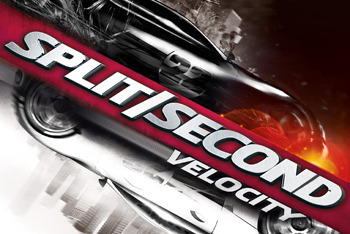 Split Second is an extreme racing game for the PC, PS3, and Xbox 360. Using supercars, trucks, and muscle cars, racers take place in a reality TV show in which you can trigger explosions that interrupt your opponents and change the entire course! Each stunt you do builds your powerplay meter, and the more full your meter, the bigger and more catastrophic the explosion will be, changing the race permanently. Entire cities can fall during the course of one of these chaotic races, and the action is only more hectic with 8-player online and 2-player offline racing! Shrek: The Final Chapter is also getting possibly the last Shrek game ever, a cooperative puzzle action adventure. As in the movie, Rumpelstiltskin has brought Shrek into an alternate world in which Rumpelstiltskin is king and ogres are being hunted. Players must navigate the two versions of Far Far Away to progress through the game and fix things. Players use the unique skills of Shrek, Fiona, Puss In Boots, and Donkey to solve the game's puzzles and beat down Rumpelstiltskin's evil army. The third entry in the Blue Dragon RPG series, Blue Dragon: Awakened Shadow uses real-time action-packed RPG combat to progress the story of Shu and Blue Dragon. This time, you don't play as Shu, but instead a character of your own creation, with customizable gender, hair, eyes, name, and voice. Players also customize their family emblem, which affects their stats for the rest of the game in hidden ways. Like in Blue Dragon Plus, the DS lights up with full-motion cutscenes in-between battles to give out the storyline, as the game pulls no punches in using all the technology the DS has got. Best Food for a Racing Dragon? Steaks soaked in jet fuel! Whatever it wants to eat!